For the upcoming Family Festival, which had an Alice in Wonderland theme, students could create a piece of artwork if they wanted. 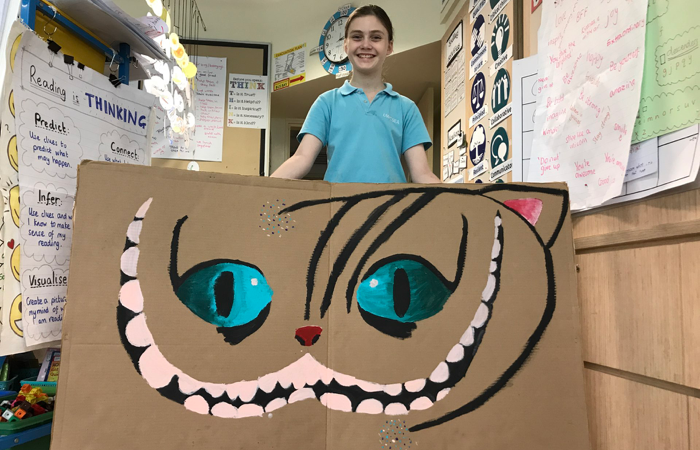 Not one to let an opportunity of creating something get away, Ava started with some research about Alice in Wonderland and then decided to paint a large mural of the Cheshire Cat. She did all of it on her own without help and in her own time. What a beautiful job she did.